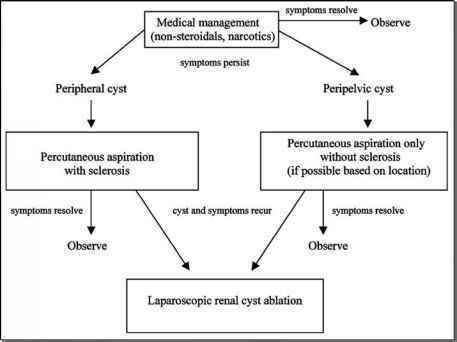 In 1991, Gazayerli introduced laparoscopic surgery by the peritoneal planar lifting method with a simple T-shaped retractor for herniorrhaphy and cholecystectomy (1). Strictly speaking, it was not pure gasless surgery because the abdominal wall was lifted as an adjunct to carbon dioxide pneumoperitoneum. In 1991, Nagai et al. first performed gasless laparoscopic cholecystectomy by the subcutaneous wire lifting method, a technique for lifting the abdominal wall by using both ends of a Kirschner wire that was inserted subcutaneously (2). Abdominal wall lifting methods that employed various wires were subsequently developed in Japan (3,4). In the United States, laparoscopic surgery by the peritoneal planar lifting method (Laparolift™a) was performed from around 1993 (5-7). In 1999, Sampietro developed a unique method for lifting the whole abdominal wall and used it to perform gasless laparoscopic surgery in Italy (8). Subsequently, carbon dioxide pneumoperitoneum has become the mainstream mode of laparoscopic surgery because of its technical simplicity and ability to provide a wide operating space. Previously, gasless laparoscopic surgery was routinely used in restricted hospitals and was used for patients with serious cardiopulmonary complications at most medical institutions. However, hand-assisted laparoscopic surgery has recently been used for technically demanding procedures such as distal gastrectomy and colorectal surgery. When combined with minilaparotomy, gasless laparoscopic surgery allows surgeons to perform an operation via a small incision under direct vision and still insert a hand easily. Recent studies have demonstrated the utility of minilaparotomy or hand-assisted gasless laparoscopic surgery for distal gastrectomy with D2 lymph node dissection (9,10), as well as gasless laparoscopic surgery combined with minilaparotomy or transanal excision for colorectal cancer (11-15). aOrigin Medsystems, Inc., San Francisco, CA, currently unavailable. It has also been reported that low-pressure laparoscopic surgery with abdominal wall lifting is useful for patients with cardiopulmonary dysfunction, advanced obesity, and pregnant women (16-19). Alijani and Cuschieri reported that such surgery was useful for high-risk patients because the addition of abdominal wall lifting gave surgeons a sufficient operating space at a pneumoperitoneum pressure as low as 3 to 4 mmHg and minimized the adverse effects of carbon dioxide pneumoperitoneum (17). The clinical practice guidelines on pneumoperitoneum for laparoscopic surgery released by the European Association for Endoscopic Surgery also recommend that abdominal wall lifting should be combined with low-pressure pneumoperitoneum in patients who have cardiopulmonary dysfunction (20).